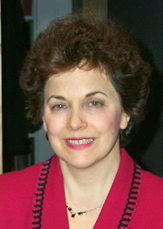 Barbara Buehler, associate city planner (ret. ), worked in the Health & Social Services, Research Analysis, Education, Parks and Recreation Sections and Technical Review Division of the NYC Department of City Planning. She is also an Aesthetic Realism associate, having studied in classes with Eli Siegel and currently in classes taught by Chairman of Education Ellen Reiss. Her paper on the noted urbanologist Jane Jacobs has been presented at venues including the Hawaii International Conference on Arts & Humanities (2006), and the NYC Department of City Planning Technical Review Division. An important statement by her, "Housing: A Basic Human Right," based on Aesthetic Realism principles, was selected for the Municpal Art Society's New York Centennial Exhibition: "100 Great Ideas For New York’s Future: The City That Could Be." Articles by Ms. Buehler have been published by newspapers in several states, and she has presented seminar papers at the Aesthetic Realism Foundation as well as art talks in the series, "The Aesthetic Realism of Eli Siegel Shows How Art Answers the Questions of Your Life." She received a Bachelor of Arts in International Affairs from George Washington University.